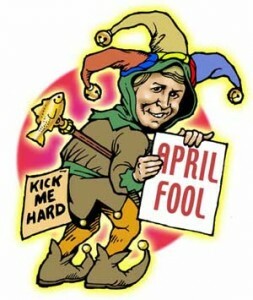 Home » General Interest » What is the origin of April Fools Day ? The exact origin of April Fools day is uncertain. There are several theories on how April Fools day originated, but the most likely revolves around the adoption of the Gregorian Calendar in France. In 1582, Pope Gregory XIII ordered a new calendar (the Gregorian Calendar) to replace the old Julian Calendar. Up until this time New Year’s Day had been celebrated on April 1 along with the new spring. The new calendar called for New Year’s Day to be celebrated Jan. 1. Accordingly King Charles IX of France decreed that New Year’s Day would henceforth be celebrated on January 1. According to a popular explanation, many people either refused to accept the new date, or did not learn about it, and continued to celebrate New Year’s Day on April 1. As a result, that year a number of people duly continued to celebrate New Year’s Day on April 1 as usual, throwing parties and exchanging gifts. To make fun of the uninformed and conservative, various wits marked the non-holiday by mocking those who still celebrated, sending them on “fool’s errands” or trying to trick them into believing something false. They invited people to nonexistent events or gave them absurd presents, and anyone who fell for the joke was dubbed a Poisson d’Avril (“April fish”). Even after everybody got used to the new calendar, however the April fooling seems to have continued every year on April 1. Eventually, the practice spread throughout Europe and onwards to America. As an aside though, it’s interesting to note that the Gregorian calendar was not adopted by England until 1752, but April Fools Day was already well established there by that point.